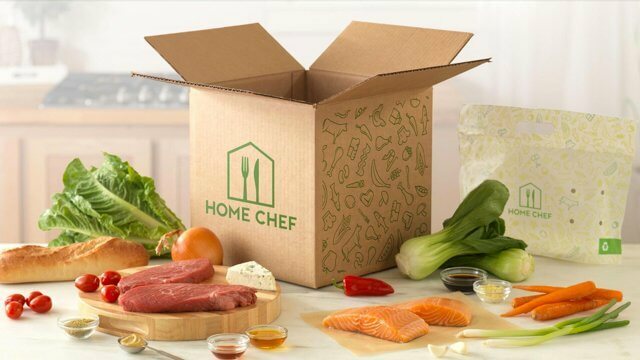 This is a review of the Home Chef Meal Delivery Service, including both PROs and CONs. Right before we left for a 2-week European vacation, I scheduled a Home Chef meal delivery for 2 meals. Coming home from vacation was a 10 hour direct flight. While we landed in the morning time, I was so tired that I couldn’t bring myself to drive to the grocery store. I was just about to pick up the phone and call for delivery pizza, when the doorbell rang. Apparently, I had forgotten about the Home Chef delivery that I had cleverly pre-planned, so that I wouldn’t have to drive to the store or eat pizza! Our box arrived with measured ingredients, recipe cards and plenty of ice packs. 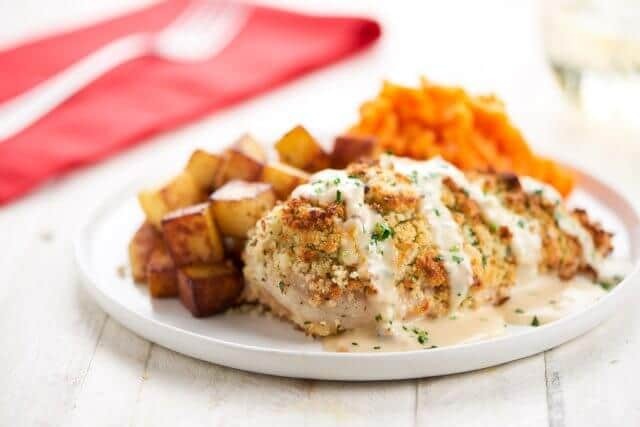 For dinner, that night, we had Goat Cheese Crusted Chicken with Carrots and Roasted Potatoes. 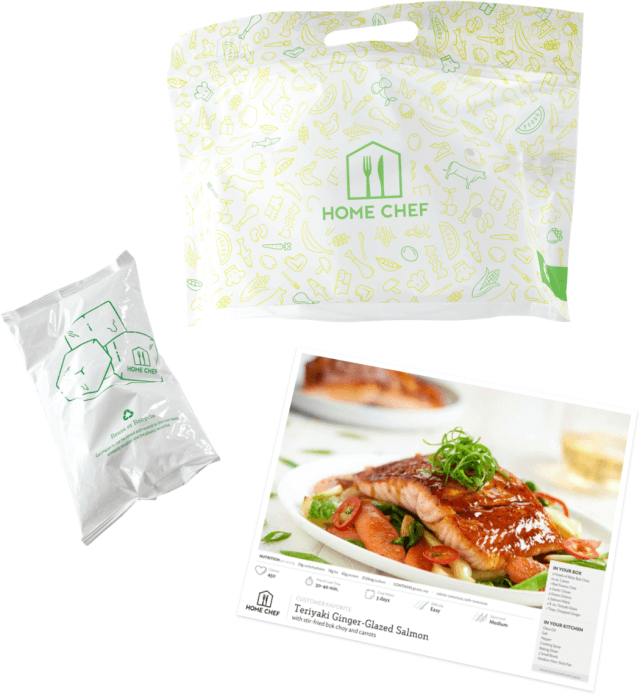 PRO: Home Chef packages ingredients in bags. So, all you have to do is grab the bag from your refrigerator for the meal. 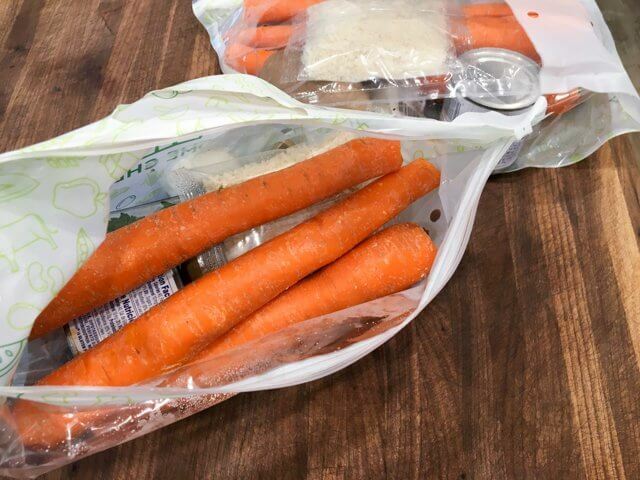 I’ve had other meal delivery services that just throw all ingredients into the box. To make a meal, I have to hunt for each ingredient. 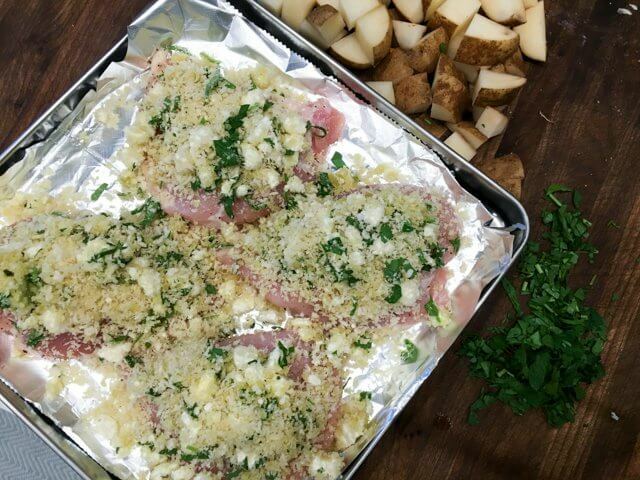 The recipe was incredibly simple, we even used the toaster oven to bake the chicken. 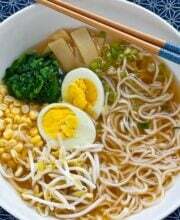 In 30 minutes, dinner was ready. CON: The recipe requires lots of different pots/pans and cooking methods. 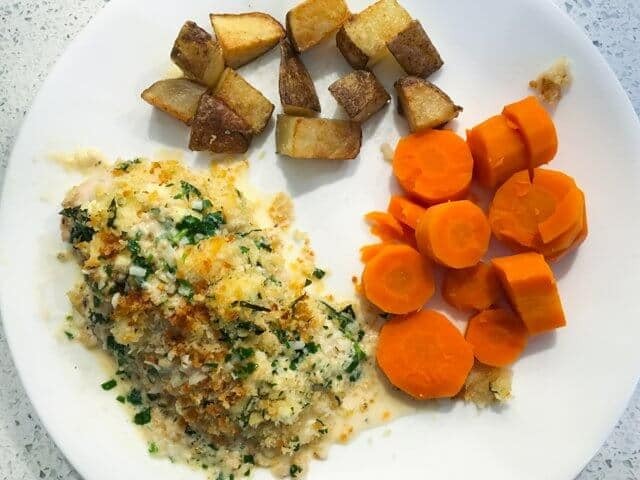 Chicken – baking sheet (oven), saute pan (stovetop); Carrots – small pot (stovetop); Potatoes – frying pan (stovetop). In the end, we had a lot of dishes to wash! PRO: DELICIOUS!!! Here’s the rest of the crew, enjoying “dinner” at 2pm because of hunger and jet lag! 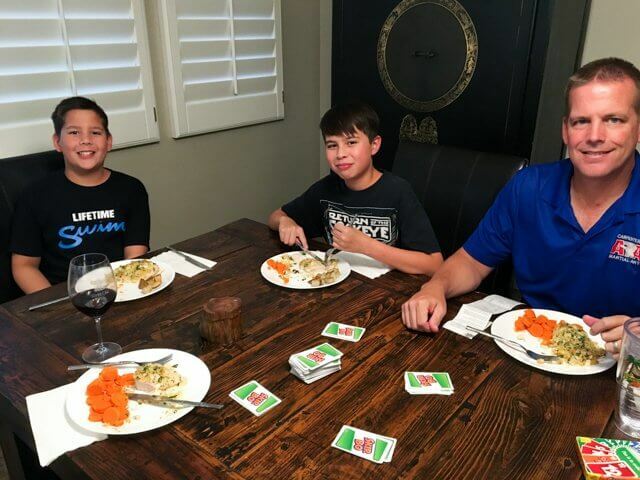 Oh, we like to play board games and card games when we eat dinner together. We’re playing Skip Bo this night. 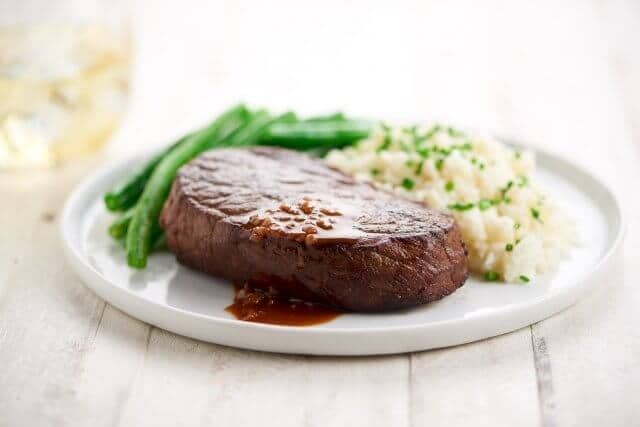 The next day, we enjoyed Sirloin Steak with Sauce Robert, Green Beans and Blue Cheese Mashed Cauliflower. PRO: I appreciate the quality of the ingredients we got. The produce was fresh, firm and probably could have kept in the refrigerator for an additional 4 days without spoilage. The steak came with a rich, savory beef demi-glace that is fine restaurant-quality. PRO: I love the selection of meals Home Chef provides. 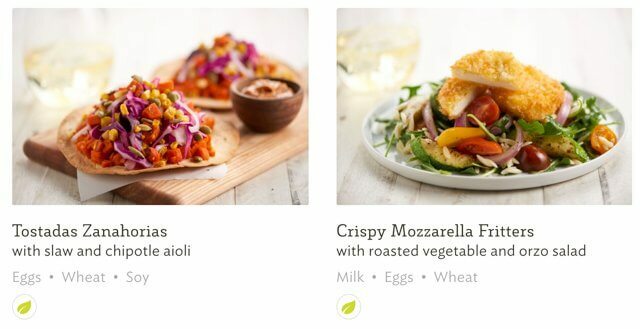 Some of the meals are more adventurous, like the Tostadas Zanahorias. But mixed in there are everyday familiar favorites like Steak Marsala. The price comes out to around $10 per serving, per person. If you’re choosing meat or seafood based meals, I think that’s a great price. For vegetarian meals, I think it’s a little expensive. Our family raved about both meals, and the kids keep asking for both meals again. 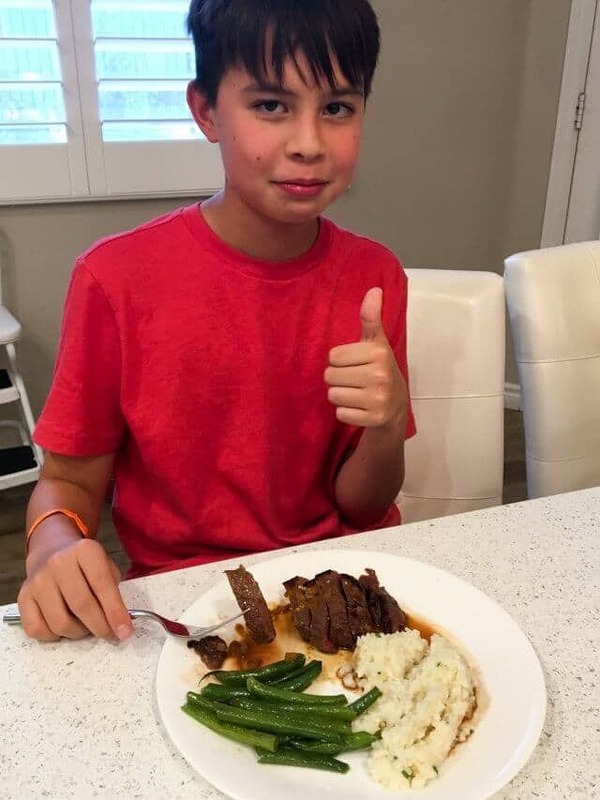 Andrew loved the steak and Nathan dreams about those blue cheese mashed cauliflower.